1). We provide adequate technology and services to enable consumers, merchants and other participants to conduct commerce on our platforms. 2). Niiyo.com is more than a business platform. It is a people-centred initiative to reduce unemployment rate around the world. 3). Niiyo.com provides a better business environment for the benefit of both sellers and buyers. 4). Niiyo.com has heavy investments in e-commerce research programmes for the purpose of developing new services to help businesses grows and discover new opportunities. This is to encourage innovations to serve our clients better. 5). 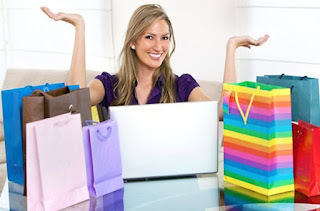 Niiyo.com is easily accessible on personal computers and all manners of mobile devices to ensure convenience in shopping from wherever you are. 6). We speak your local language. The strong desire of every buyer is maximum utility over desired goods and services. At Niiyo.com, we will rather incur a financial loss than lose a SINGLE customer no matter the level of patronage. 7). Niiyo.com boasts of a huge wealth of experience in e-commerce with a strong impression in U.S.A and Dubai. 8). Niiyo.com has hugely invested in the recruiting and training of super-talented and energetic young workers to champion its business course in Nigeria. 9). Wide coverage in Nigeria to ensure quick delivery STRICTLY within 24 to 48hrs of transaction regardless of your location. 10). Niiyo.com deals with commodities of international standards due to its affiliations across Nigerian borders at highly subsidized rates for the good of all classes of people in the society. Keep Niiyo.com trending, Nigeria's Most Exclusive Online Platform. #ComingSoon!